It's time for the "Birthers"-- a group of wackos who claim Barack Obama was not born in the United States to STFU. For more on who these wingnuts are and what they believe, click here. Sonia Sotomayor and her mother Celina. A summary of Sotomayor's major civil decisions appears on today's Daily Kos, reported by DavidNYC, from cases compiled by Tom Goldstein's SCOTUS blog. She is certainly not an idealogue. Pappas v. Giuliani, 290 F.3d 143 (2d Cir. 2002)... involv[ed] an employee of the New York City Police Department who was terminated from his desk job because, when he received mailings requesting that he make charitable contributions, he responded by mailing back racist and bigoted materials. On appeal, the panel majority held that the NYPD could terminate Pappas for his behavior without violating his First Amendment right to free speech. Sotomayor dissented from the majority’s decision to award summary judgment to the police department. She acknowledged that the speech was "patently offensive, hateful, and insulting," but cautioned the majority against "gloss[ing] over three decades of jurisprudence and the centrality of First Amendment freedoms in our lives just because it is confronted with speech is does not like." [I]n Ford v. McGinnis, 352 F.3d 382 (2d Cir. 2003), Sotomayor wrote an opinion that reversed a district court decision holding that a Muslim inmate’s First Amendment rights had not been violated because the holiday feast that he was denied was not a mandatory one in Islam. Sotomayor held that the inmate’s First Amendment’s rights were violated because the feast was subjectively important to the inmate’s practice of Islam. Sotomayor’s dissent in Gant v. Wallingford Board of Education, 195 F.3d 134 (2d Cir. 1999), is perhaps her most strongly worded opinion addressing discrimination. Plaintiff Ray Gant, who was transferred mid-year from first grade to kindergarten because of academic difficulties, alleged that the school was deliberately indifferent to racial hostility that he suffered and discriminated against him through the transfer. Sotomayor agreed with the majority’s decision to dismiss the racial harassment claim, but she rejected their conclusion that the transfer was not race discrimination. In her view, the transfer was "unprecedented and contrary to the school’s established policies": white students having academic difficulties, she noted, received compensatory help, whereas Gant - the "lone black child" in his class - was not given an "equal chance" but was instead demoted to kindergarten just nine days after arriving at the school. [S]he authored a forceful dissent in Hankins v. Lyght, 441 F.3d 96 (2d Cir. 2006), a case involving a minister who filed suit under the Age Discrimination in Employment Act (ADEA) after he was forced by his church to retire at the age of 70. The district court dismissed the claim; on appeal, the Second Circuit reversed, holding that the Religious Freedom Restoration Act (RFRA), which - subject to certain exceptions - prohibits the government from substantially burdening the exercise of religion, had effectively amended the ADEA by providing a defense for ADEA violations. In her dissent, Sotomayor complained that the majority had "violate[d] a cardinal principle of judicial restraint" when it - unnecessarily, in her view - held that the RFRA was constitutional. In a case involving privacy issues, Leventhal v. Knapek, 266 F.3d 64 (2001), Sotomayor wrote an opinion that rejected a Fourth Amendment challenge to a public employer’s search of an employee’s computer after the employee was accused of being late, coming to the office infrequently, and spending his free time discussing personal computers with his coworkers. Although she agreed that the employee had a "reasonable expectation of privacy in the contents of his office computer," Sotomayor also cautioned that "workplace conditions can be such that an employee’s expectation of privacy...is diminished." Here, she explained, the search was permissible because it could have revealed employee misconduct. Imagine...meetings without Tweets, vibrations, rolling thumbs, roving eyes, or Blackberries. 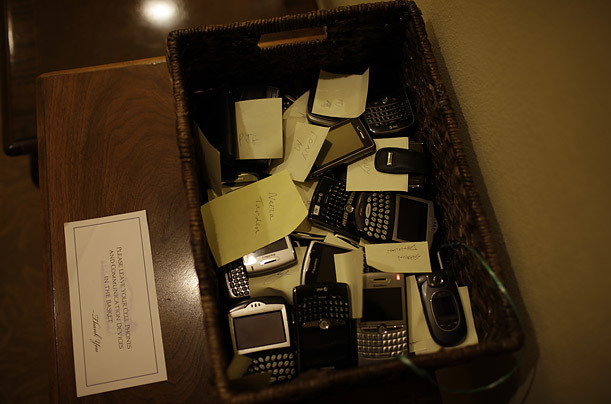 All who enter the Oval Office, Roosevelt Room and Cabinet Room are asked to leave their mobile devices in baskets like these, stationed around the West Wing. From Time Magazine's "Obama's 100 Days"
Enough about the clothes and another sleeveless portrait take with the frumpy G-20 wives. Our First Lady is defying protocol in the most unusual way. It's a major no-no to touch the Queen. 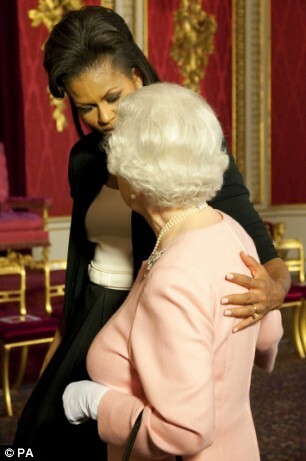 But Michelle Obama fearlessly expressed herself and put her arm around Queen Elizabeth in a gesture of simple humanity. Evidently protocol has been relaxed somewhat at the Palace. The Queen has made clear in recent years that she does not expect people to curtsy or bow any more, however, the "no-touch" rule has always been sacrosanct. Members of the public introduced to the Queen are told they should wait until she extends her hand for them to take it and kissing is totally frowned upon. Obviously Mrs Obama thinks she is very special indeed. Protocol is protocol and she should not think that she's above it any more than anyone else is. I'm sure there are many more protocols surrounding Mr Obama than there are surrounding the Queen and there'd probably be a death if anyone broke those. Address your ego Mrs O. Sometimes Her Majesty looks like she needs a nice cuddle. I do not care if anyone says anything negative about the Obama's. Il love them. Their excitement about meeting the queen is palpable. We should be proud. Actually, there's a bit of a controversy about who touched whom first. Throne Room following the official group picture with the national leaders here for the G20 Summit. One said: 'There was a bit of a bottleneck as all of the leaders filed out so the Queen started chatting to Michelle Obama. She appeared to look up at her and make a comment about how tall she was. 'The pair then looked at their feet and appeared to be discussing their shoes. 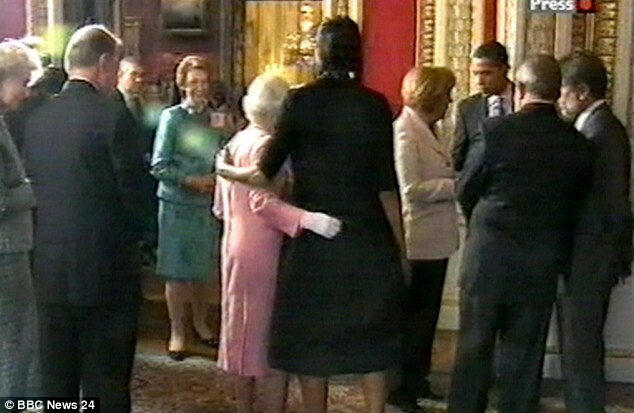 But the Queen returned the gesture...gasp! And history was made once again. The White House released these remarks from Saturday night's exclusive Alfalfa Club Dinner. 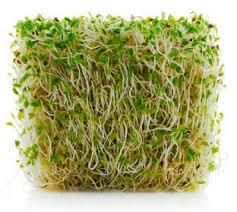 The Alfalfa Club was started by four Southerners in Washington's Willard Hotel in 1913. Its sole purpose was an annual night out for the boys, and it took its name from a thirsty plant that sends its roots deep down looking for liquid refreshment. The club remained exclusively open to men until 1994, when women were admitted as members Arizona Sen. John McCain and McCain's running mate, Alaska Gov. Sarah Palin, also attended the event. Now, this hasn't been reported yet, but it was actually Rahm's idea to do the swearing-in ceremony again. Of course, for Rahm, every day is a swearing-in ceremony. But don't believe what you read. Rahm Emanuel is a real sweetheart. No, it's true. Every week the guy takes a little time away to give back to the community. Just last week he was at a local school, teaching profanity to poor children. But these are the kind of negotiations you have to deal with as President. In just the first few weeks, I've had to engage in some of the toughest diplomacy of my life. And that was just to keep my Blackberry. I finally agreed to limit the number of people who could email me. It's a very exclusive list. How exclusive?